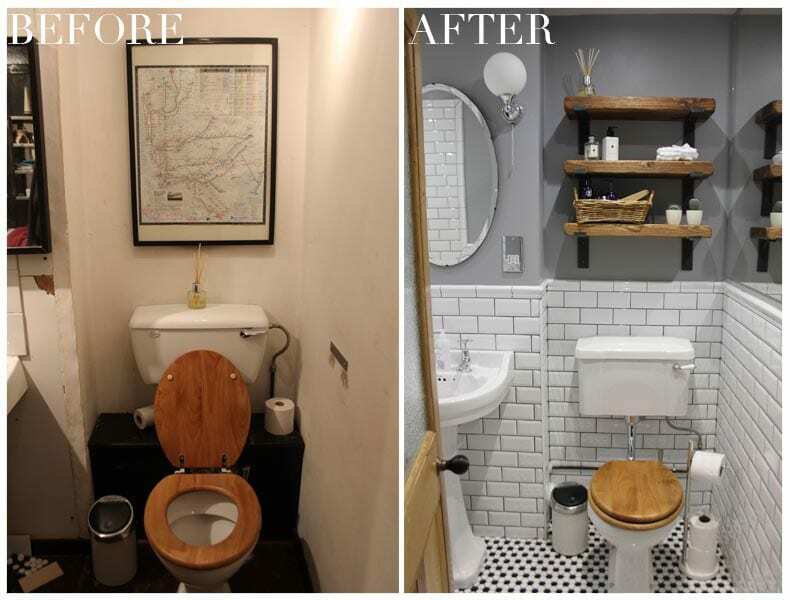 For those of you who’ve been following me over on Instagram and/ or speak to me in person, you will be well aware that our Bathroom Makeover has become somewhat of an obsession of mine for the past few months. 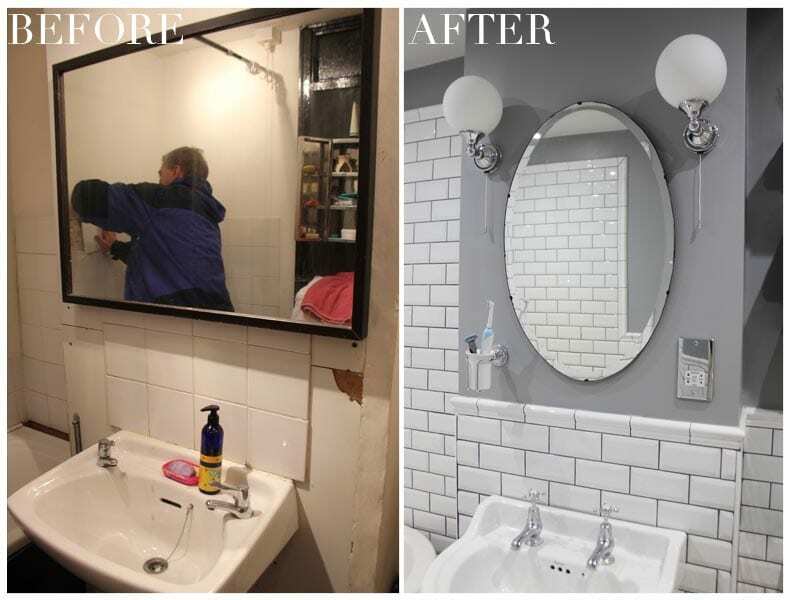 It is with immense joy that I’m finally able to share our Bathroom Makeover Reveal! 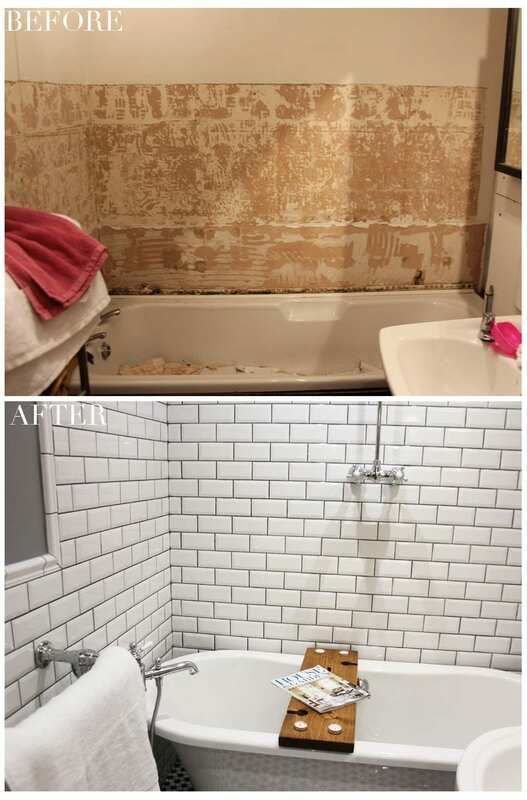 We bought our home late last year and of course we knew that the first thing we had to renovate was the crumbly, sad, dilapidated old bathroom. This is the first time Mr T and I have ever done anything like this, except for the usual painting and decorating. We have never planned or carried out any type of room overhaul so we are super pleased with the end result! 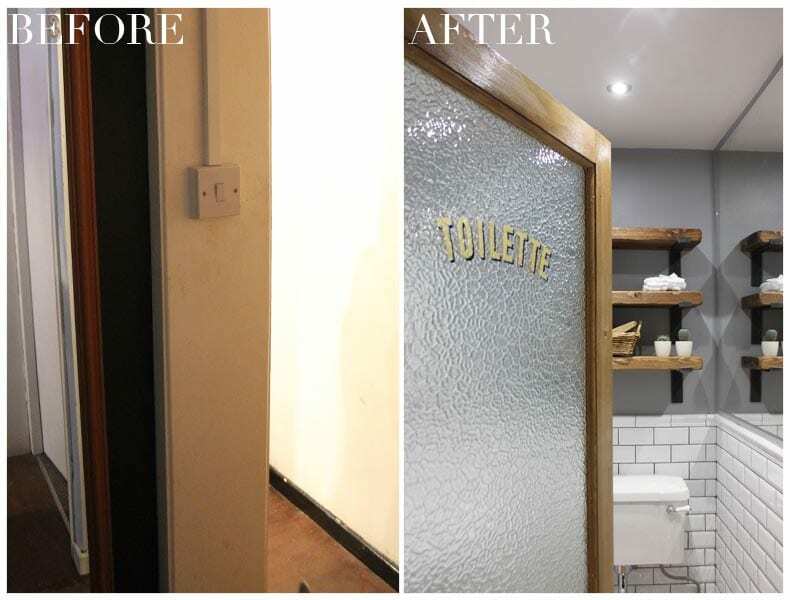 As our home is in a city centre location, space is at a premium, so this created several hurdles to overcome when planning our bathroom renovation. 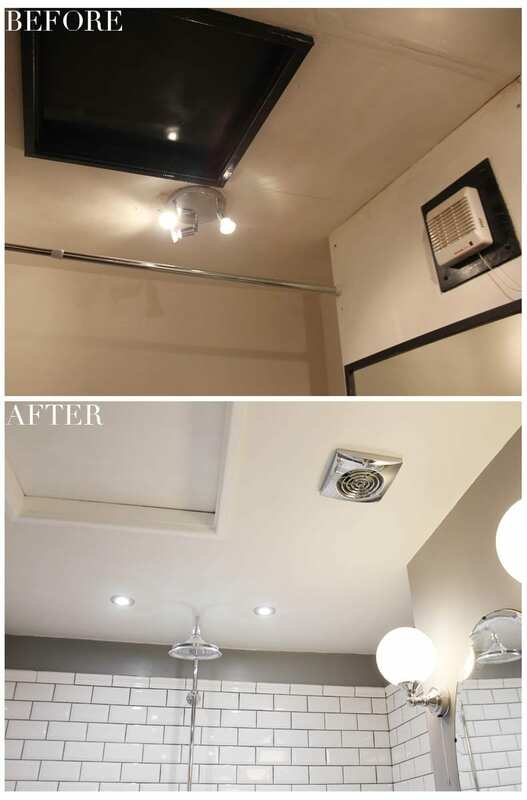 We also had the issue that the bathroom does not have any natural light and was very dark and dingy. To overcome the issue of light, or lack of light we introduced several elements that I will outline in this post to help any of you facing the same space/ light dilemma..
Glazed door- To allow extra light in from the corridor we bought an old 1930’s door from eBay and had it dipped, then Mr T varnished it to make it look as good as new. 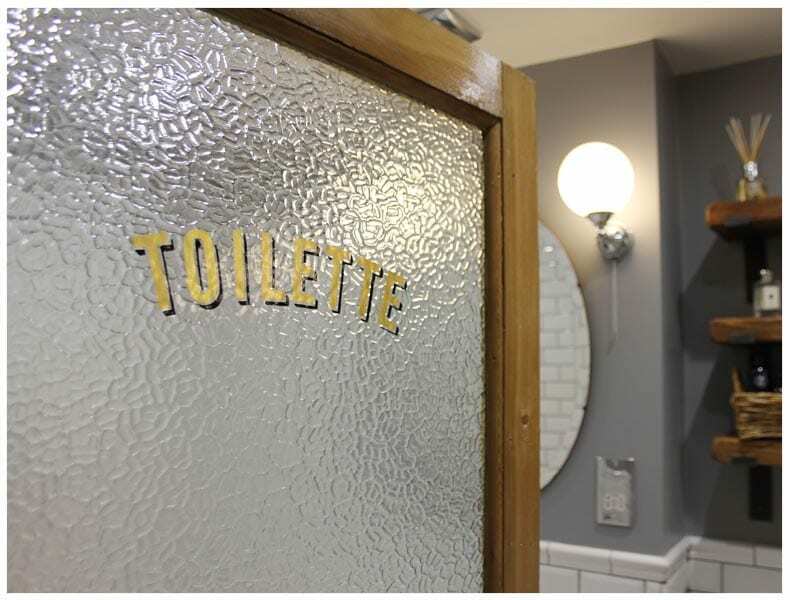 Our very talented friend Mr Dabl hand painted the ‘toilette’ sign on a piece of glass that we ordered and he then fitted the glass panel. Having a glazed door allows light to shine in from the landing and adds something a little special (the textured glass is the highest ‘modesty’ rating, so don’t worry you can’t see through it). We couldn’t be happier with the end result! Tiles- To ensure we made the most of the little light we have, we added high gloss tiles to the walls and floor to ensure the light is bounced around. 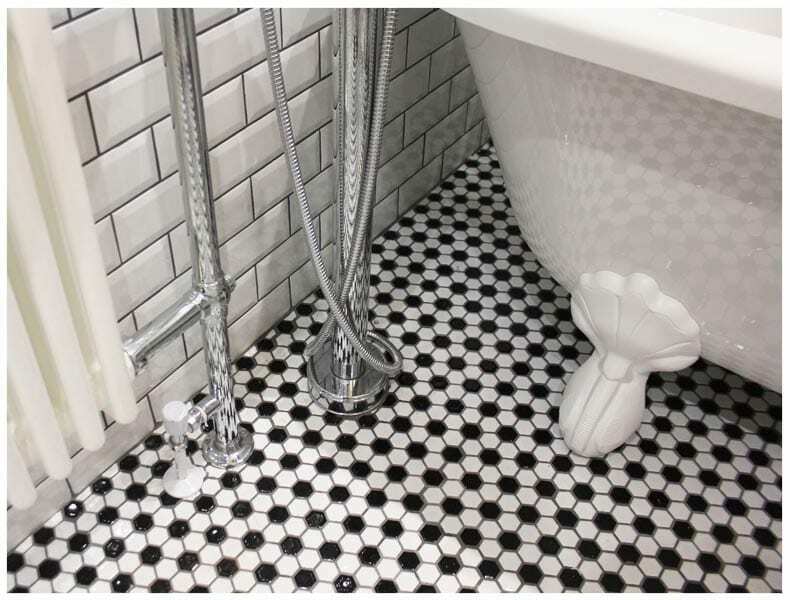 We went for the classic bevelled edge metro tiles and black and white hexagonal tiles on the floor. For the walls we chose to use grey grout to add a little definition and stop the room looking too cold and clinical. Sconce lights- Adding the wall sconces really helped to add even more light to the space, they also look jolly fabulous. It’s lovely to have the option of which lights to have switched on at any given time. 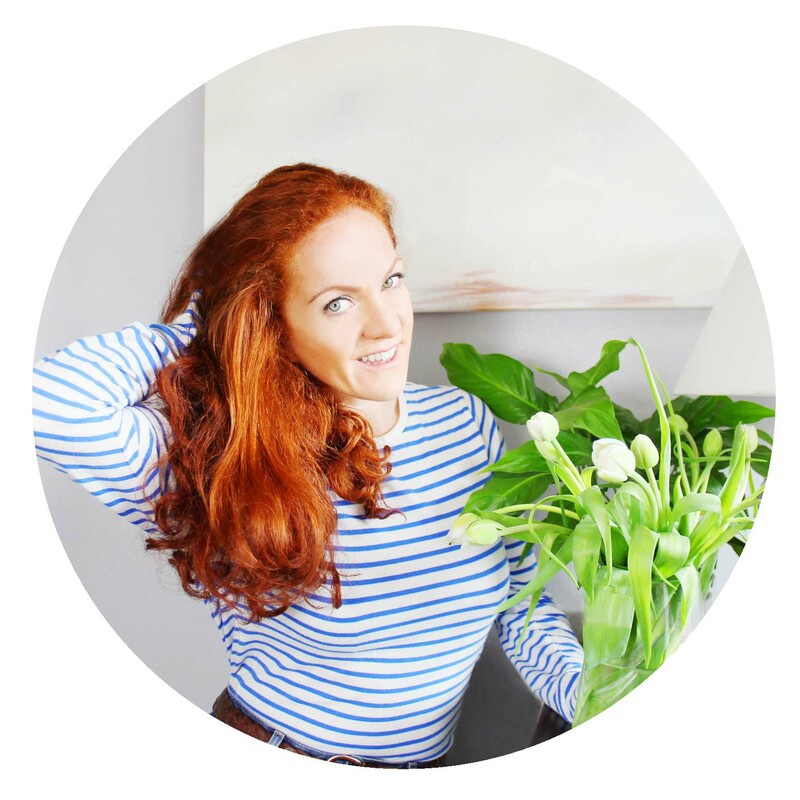 For mood lighting the wall sconces are perfect, they really add to making the space feel even more relaxing- ideal for those long magnesium soaks. 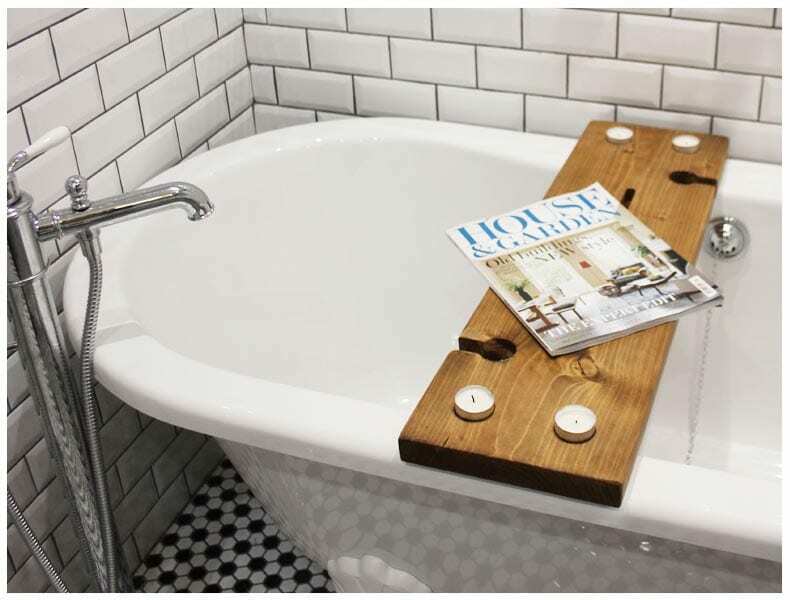 Old-fashioned style- As you’ll all know by now I have a soft spot for old-fashioned stuff (cars, dresses, furniture etc etc) we tried to bring our love of all things old school through to our bathroom. We opted for the Burlington Bathroom suite, the Burlington range offers that good old-fashioned style but with all the conveniences of modern day technology. Vintage and handmade- To offset the shiny-shiny bathroom suite we tried to add a few handcrafted and vintage pieces with the oval mirror I picked up at the Antique Centre, the 1930’s door and the handmade wooden shelves and bath caddy that we had made. 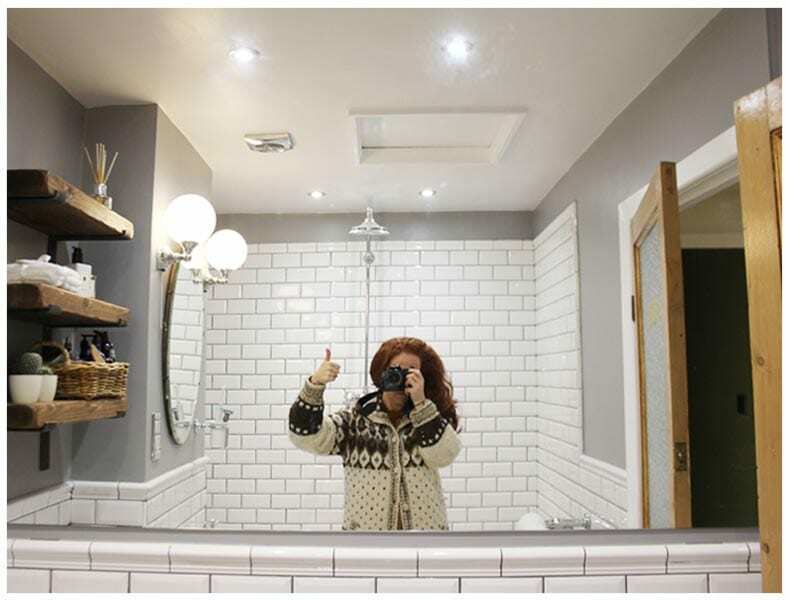 Half wall mirror- On one of the walls we had a large mirror installed which helps to create the illusion of depth (also great for getting ready in) I think this is one of the best decisions we made as it really opens the space up and makes it feel so much bigger! 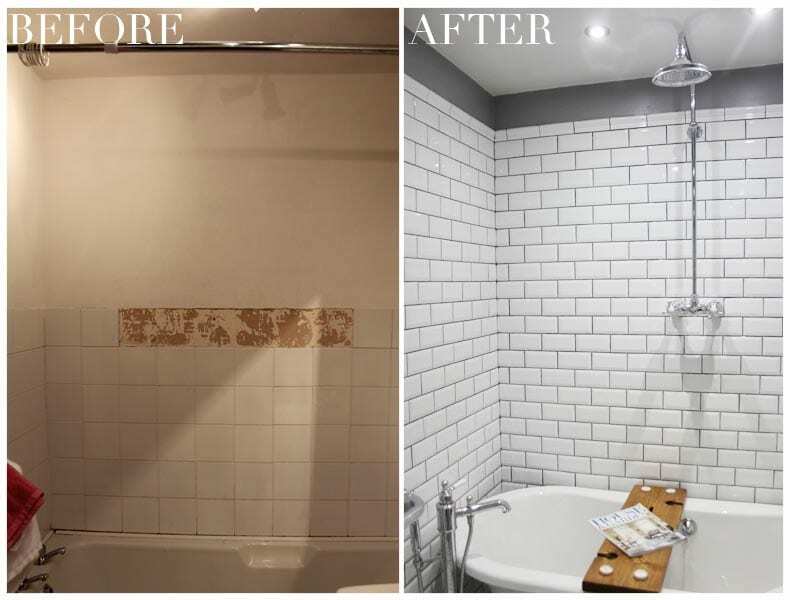 Hopefully you’ve enjoyed our Bathroom Makeover Reveal! If you’d like me to post any more detail about our planning process do let me know and I’ll share a bit of the ‘behind the scenes’ action.